The newest from Tour Edge Golf includes their first adjustable driver with complementary fairways and hybrids. The Exotics XCG6 Driver employs the company’s Shot Control Technology (SCT) for adjustment to one of four face-angle/loft settings by using a wrench. The “C” position hosel mark slight closes the face for a draw and the “O” position an open one for a fade. There are also a “U” or upright position and “N” or neutral position. The forged titanium face has variable thickness and four hexahedron weight pads. Stock shafts include the Matrix Ozik HD and super-lightweight Graphite Design Tour AD. 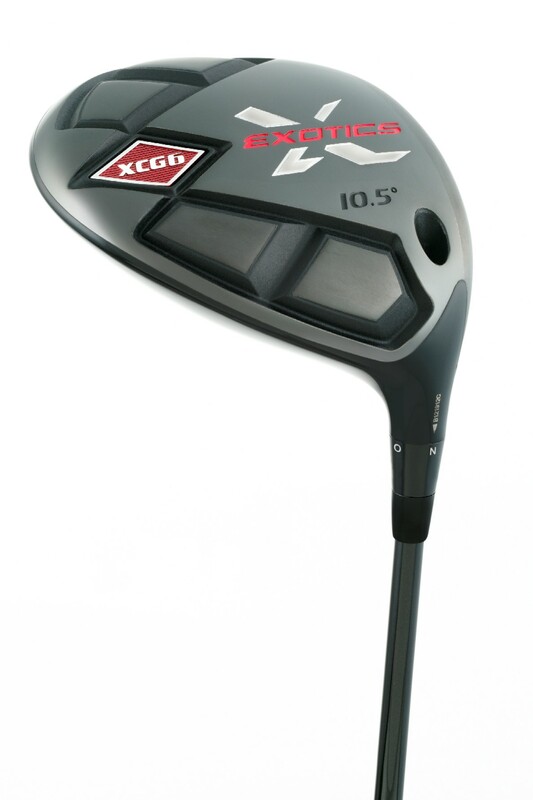 In the Exotics XCG6 fairway there is a 15-3-3-3 beta titanium cup face, a high-density steel body and a tungsten sole plate joined by combo-brazing. The tungsten sole plate puts 65% of the total club head weight in the heel and toe areas for a higher moment-of-inertia, reduced club head twisting and greater forgiveness. Street price for the Exotics XCG6 driver with either stock shaft is $349.99, the fairways are $299.99 and hybrids are $199.99.